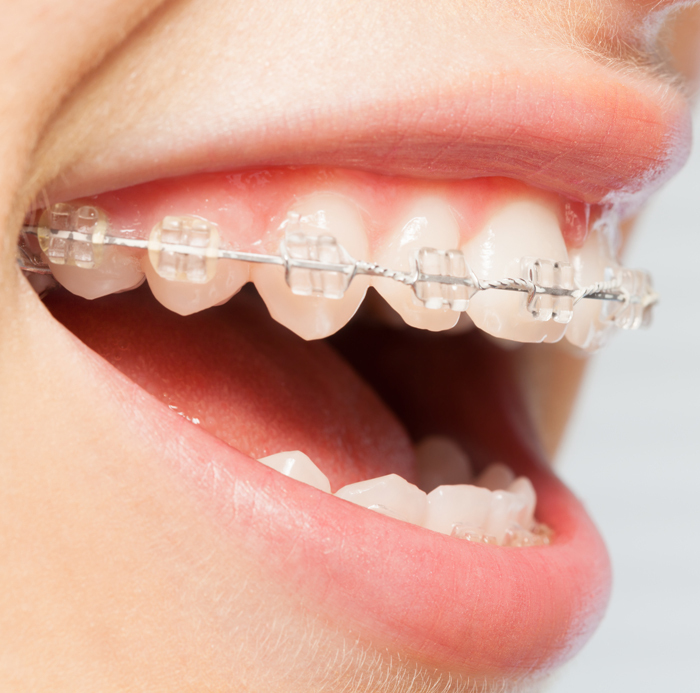 These are traditional braces –it’s what most people picture when they think of orthodontic treatment. The system uses brackets made of high-grade stainless steel. Bendable metal wire is threaded through the brackets and kept in place by elastics. The bracket and wire system applies pressure to teeth and ultimately moves them into proper alignment. 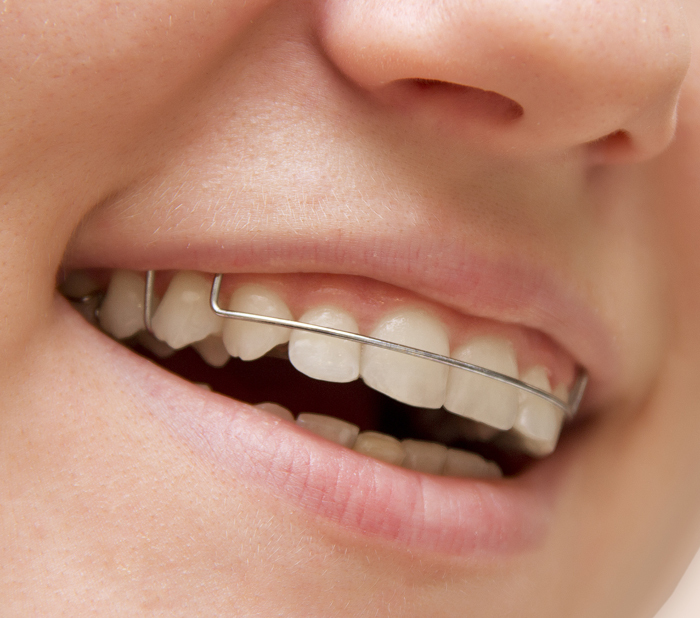 Metal braces are a popular option for many teenagers: They are less expensive and can be the fastest treatment option. 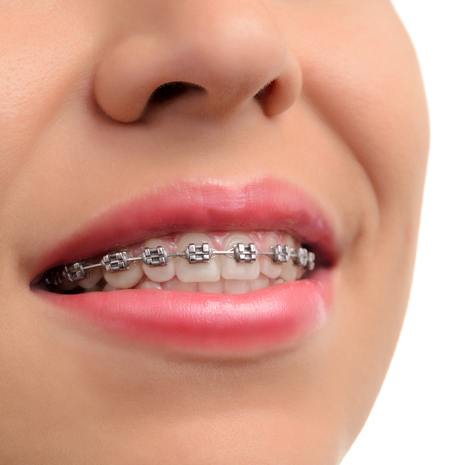 Keep in mind these are not the metal braces your parents remember: They are smaller – and so they’re less noticeable – than they used to be. Wires have been improved so that they move teeth faster and with less pain. Something your parents didn’t have was the ability to choose the color of the rubber bands placed around each bracket. This gives you the chance to make your braces as unique as you are! Ceramic braces are like metal braces in that they also use a bracket/wire/elastic system to move teeth. The difference is the brackets are the color and texture of your teeth, so they are blend in and are less noticeable than metal. They may be connected by wires that are also the color of your teeth. When wearing ceramic braces, patients must practice excellent oral hygiene and be conscientious about cleaning their teeth to prevent staining. Ceramic braces work just as well as metal braces, but they are more expensive. They are a popular choice for adults because they aren’t as visible as metal braces. We use Clarity™ ceramic brackets in treatment. 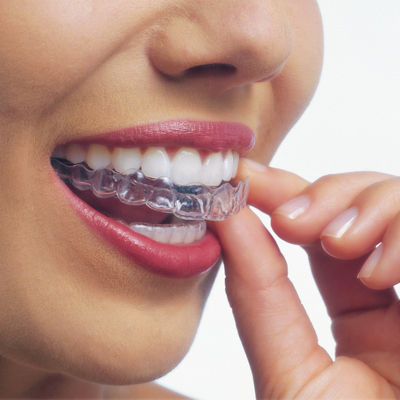 Invisalign® is a clear mouthguard-like aligner. Treatment consists of a series of 18 to 30 different aligners custom made for the patient. Every two weeks the existing aligner is swapped out for a new aligner as teeth move and the next stage of adjustment begins. Invisalign® can be a more expensive alternative. However, the advantage of Invisalign® is the aligners are almost invisible. And, because the aligner can be removed from the mouth, patients can eat and drink whatever they’d like. Invisalign® is not an option for severe orthodontic cases and they are not available for children. Also, because they are removable, they are easy to lose – and costly to replace.